Microsoft announced its Windows Store-tied desktop operating system along with the gorgeous Surface Laptop at its Microsoft EDU event yesterday. Since the newish operating system brings focus to the Windows Store, the company appears to be thinking about some rebranding. 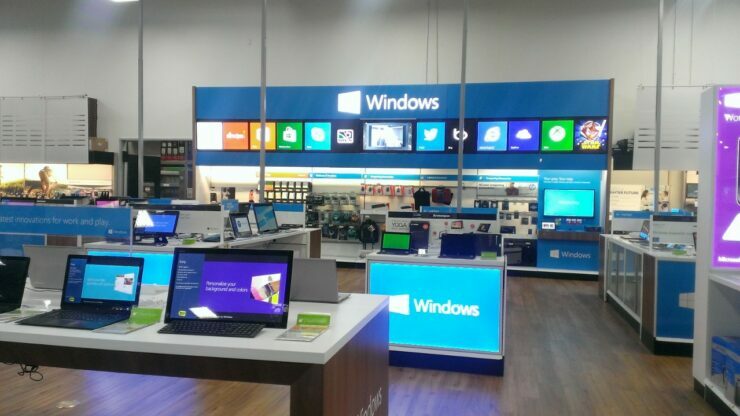 Windows Store to transform into Microsoft Store? The Redmond software maker could rename its Windows Store to Microsoft Store sometime soon, probably close to the launch of Windows 10 S powered devices this summer. Microsoft recently updated its documentation for Windows Store for Business and Education (spotted by MSPU) replacing Windows Store with Microsoft Store. With documentation ready, the Windows Store could soon officially become the Microsoft Store across all Windows 10 versions, including the Windows 10 S, which will be heavily dependent on the Store. While it isn’t certain if this change in documentation actually hints at the renaming of Windows Store or is talking about the company’s web portal for buying media and products, which is already known as the Microsoft Store. Microsoft recently merged Microsoftstore.com with the Windows Store on the web. This means users can buy both the apps and products from the same website portal – a change that could be soon be extended to the Windows 10 users too. This has started to sound as confusing as the control panel does in Windows 10. Giving you a TLDR version: Microsoft could soon offer just one store where users will be able to buy apps, manage subscriptions, and purchase hardware products like the Surface Laptop. We have reached out to Microsoft for an official confirmation on whether this change in branding will affect Windows Store on Windows 10 versions.